ANAHEIM, California –February 29, 2012 – Today Republic Services, Inc. (NYSE:RSG), a leading provider of recycling and solid waste collection services, welcomed more than 200 guests, including many elected representatives from throughout Southern California, to celebrate the dedication of its newly modernized Recycling Complex. The enhancements include a new Eco Center and one of the largest and most sophisticated single-stream sorting systems of its kind in North America. Republic’s commitment to advancing sustainability continues with the modernization at the Company’s 35-acre Recycling Complex. The new highly-automated single-stream sorting system was designed by Bulk Handling Systems (BHS). High-tech screens and optical detection technology increase capacity from 20 to 50 tons per hour, which is nearly three times faster than the old system. Republic’s Recycling Complex is currently processing 4,800 tons of waste and materials per day and will ultimately treat up to 6,000 tons. With 90 million tons of waste generated state-wide each year, this system has a major impact on waste reduction and landfill capacity. According to Robin Murbach, general manager of the Recycling Complex, this modern system holds great promise for Republic Services’ vision of achieving high levels of waste stream reduction with keen sensitivity to economic and environmental factors. California’s legislation (AB341) has set a new statewide diversion goal of 75 percent by 2020 with the focus on increased recycling of commercial waste. With the adoption AB341, businesses that generate four or more cubic yards of waste per week, and multi-family housing facilities with five or more units are required to adopt recycling practices. While there is currently nothing in the legislation that would penalize businesses, Republic Services is committed to making it easier for businesses to recycle and promoting greener communities. Scott Smithline, Assistant Director, Policy Development at CalRecycle traveled from Sacramento to address the crowd on the issue of not only these new requirements, but also California’s sustainability goals. Mayor Tom Tait of The City of Anaheim also spoke at the event. As mayor of the host city for the facility, he spoke on behalf Republic Services’ partner cities and the importance of working together to achieve greater sustainability in our communities. Guests attending the dedication ceremony had the opportunity to tour the facility, including the new Eco Center, which provides company stakeholders, industry representatives and the general public an up-close view of the recycling operation. The Center focuses not only on the single-stream sorting functions, but also gives visitors facts and information on how they can make a positive impact on their world by adopting sound environmental practices at work, school and home. Republic Services’ state-of-the-art Recycling Complex is comprised of a hauling division, a materials recovery facility, a green waste facility, a public disposal, recycling and household hazardous waste collection center, a fueling station, a maintenance facility, and a transfer station. The Recycling Complex serves communities throughout Southern California, including Orange, Los Angeles, San Bernardino and San Diego Counties. The Company is dedicated to investing in manpower, equipment and state-of-the-art facilities that will have a positive environmental impact on these communities and the world. 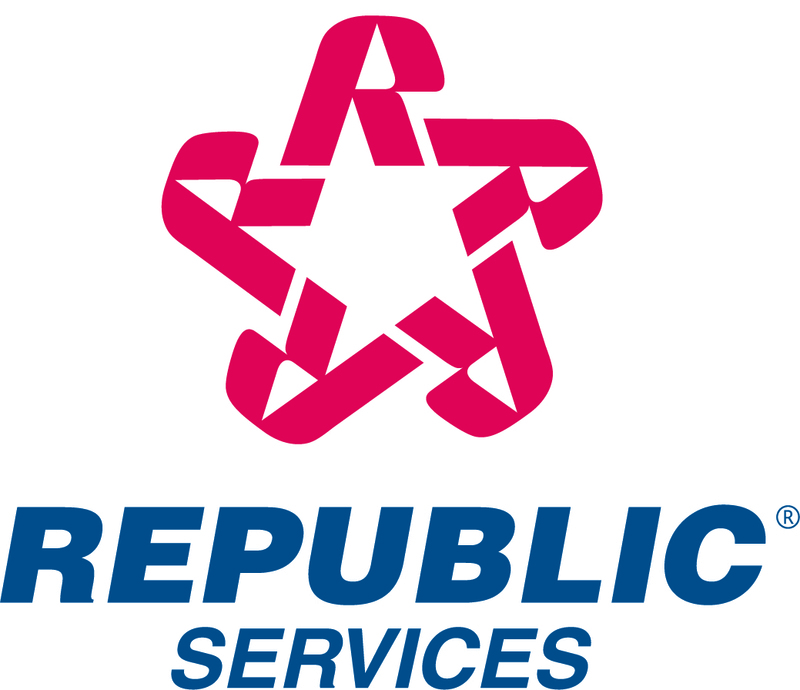 Republic Services, Inc. provides recycling and solid waste collection, transfer and disposal services in the United States and Puerto Rico. The Company’s various operating units, including collection companies, transfer stations, recycling centers and landfills, are focused on providing reliable environmental services and solutions for commercial, industrial, municipal and residential customers. For more information, visit the Republic Services website at republicservices.com.